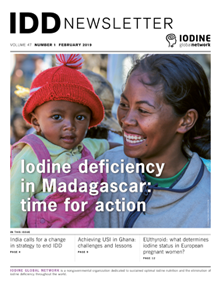 The IDD NEWSLETTER is published quarterly by the Iodine Global Network and distributed free of charge in bulk by international agencies and by individual mailing. The Newsletter is also distributed to e-mail subscribers and appears on this website. 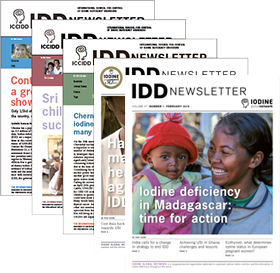 The Iodine Global Network gratefully acknowledges the support of Kiwanis Children's Fund , Indianapolis, USA, and the Swiss Federal Institute of Technology Zürich for the IDD Newsletter.